Is Your Premium Writing Instrument Component Manufacturer Is up to Snuff? A major factor for successful and efficient manufacturing of quality writing instruments is the supply of high-quality components that are consistently created to specification. Because many production lines are automated, hidden defects in components could result in high volumes of rework and potential warranty claims. So, it's important that component manufacturers supplying premium writing instrument manufacturers are up to snuff. No manufacturing line can operate efficiently unless deliveries are made on time. The component manufacturer should be able to deliver components at the right time and exactly as specified in your order. Late deliveries cause production delays, and early deliveries result in excessive stock and cause congestion. Components should conform to dimensional specifications. Ensure that manufacturing tolerances are clearly specified, and request the component manufacturer to certify that their processes are capable of meeting the required tolerances. If tolerances vary, there's something wrong. 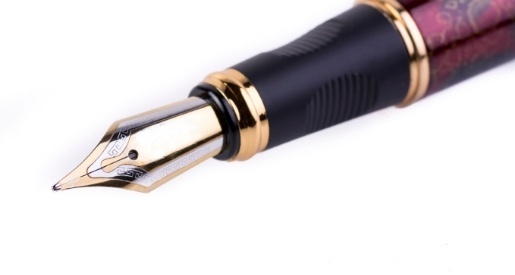 Premium writing instrument component manufacturers should operate a quality management system capable of ensuring components conform to specifications. Manufacturing batches should be recorded and a system of first- and last-offs implemented to verify that components stay within specification. Where parts have tight tolerances, a system of Go Nogo gauges may be necessary to verify that parts conform. A sure sign of a manufacturer who is not capable of consistent high-quality work is their inability to demonstrate that they have a documented quality management system. A premium writing instrument manufacturer should use component manufacturers who can demonstrate their ability to manufacture components that meet specifications consistently, contain no flaws and have the required surface finish. Before ordering, visit the component manufacturer and discuss their quality management systems. Satisfy yourself that they have got what it takes to supply quality components. Speak to their other customers and assess their ability to meet due dates and to ensure high quality and consistency. Finally, assess just how responsive the component manufacturer is to resolving issues when something goes wrong.